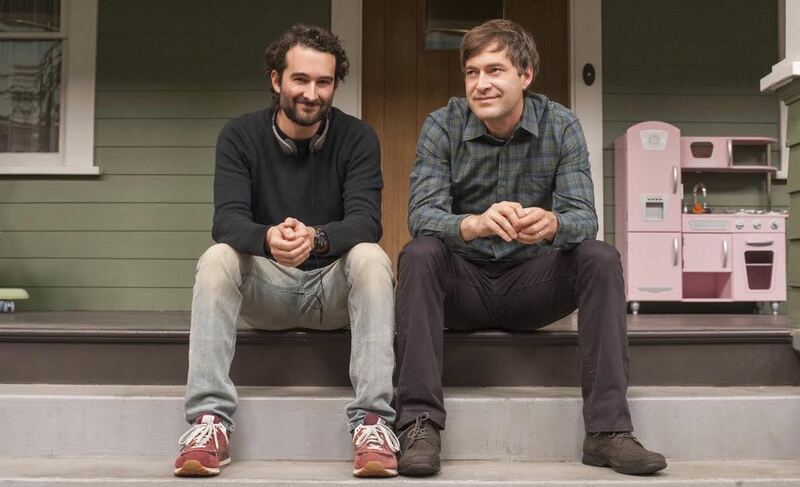 The Duplass brothers and creative partner Steve Zissis are preparing for the premiere of their new HBO series Togetherness, which debuts on Sunday, January 11th. We first encountered Mark and Jay Duplass when their film Cyrus starring Marisa Tomei and John C. Reilly was released in 2010. 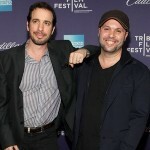 The film depicted a couple trying to get to know each other, despite the wretched instigation of the woman’s grown son. Togetherness will bring a new angle of Gen-X angst, as a group of four people all approaching 40 work out their differences under the same roof. In this interview from HBO, the Duplass brothers discuss the series, the characters, and why “togetherness” is a double-edged sword. Read on, and watch the Togetherness trailer below. Together you have written, directed and produced more than 20 movies. How is working on a series different from working on a film? Mark Duplass: The main difference is being able to track the very intricate, subtle interactions between the characters. When you’re dealing with the 90-minute format of a movie, you’ve set the whole thing up, then you’ve got a good chunk in the middle where you can dig into things, and then you’ve got to wrap it up. With TV, you put the ball in the air and you have tons of time to mine all of those awkward, funny, sad interpersonal relationship dynamics that really get us excited about storytelling. Why did you bring Togetherness to HBO? MD: The thing that makes HBO really exciting is that they bet on their filmmakers. They help you when you need it, but they don’t necessarily try to develop you too much or push you too much in one direction. It was really exciting to be able to make a show and be fully supported, but also to do exactly we wanted to do. With Mark in one of the lead roles, it begs the question: Does any of the show come from personal experience? What other influences went into creating the show? Jay Duplass: Mark and I spent a ton of time in our 20s trying to be very referential, trying to be the Coen brothers and failing miserably at that. Then we lucked into this experience where we started making fun of ourselves on screen. The first movie we ever made that was really any good was a seven-minute short film about a guy trying to perfect the personal greeting of his answering machine and failing to do so, and having a nervous breakdown, which actually happened to one of us in real life. This show is an extension of our caveman style of filmmaking. Mark and I did not grow up in Hollywood. We didn’t know anyone in the industry, and we didn’t have any awareness of people who made movies until we went to college in Austin and saw what Richard Linklater was doing. We’ve always made things by hand and represented our own world, and I think TOGETHERNESS is probably the truest and most accurate thing that we’ve ever done. The show is about being in your late 30s, living on the East Side of L.A., having kids and trying to be a family person, and trying to also make your own dreams come true. That’s really just the stuff of our lives and the conflict of our lives. In terms of drawing inspiration, we just talk about our own lives and the lives of our best friends and our family, and all the material comes from there. MD: Every project is a little different in terms of how we approach it, but this is the most intensely collaborative project we’ve done, because it’s bigger in scope. We’re functioning in a lot of roles and we’re preparing a bit more on this show than we normally do. There are just natural lines that get divided, where Jay and I talk about who is going to take the lead at this one given moment. We’ve never had an issue with crazy ego stuff about letting one person take the lead, which is important because you can’t have two people sitting in the driver’s seat at all times trying to push the pedal and fight with each other. It’s a great comfort to know that if I’m feeling grumpy and uninspired, Jay will push a little bit harder and get things done. JD: One thing that’s nice is when stuff goes down, Mark and I can discuss it between the two of us, and be super honest. How did you find your collaborative voice for Togetherness? MD: Jay and I discovered our voice through the conversations we’ve had our whole lives, where we’re up an hour or two late and a little bit tired, and either crying or laughing about something that’s going on in our lives. If we feel like we have one major strength, it is to look at the pain and the struggles of intimacy and friendships and your dreams, and take one step back and realize how stupid and funny you look in the middle of all of it. What is it about minor victories in life that inspire people to keep going? JD: We’ve realized that the big victories never tend to be exactly what you think they will be, whereas sometimes the minor victories are the ones that really count. For example, everyone tells you how wonderful it is to have children, but in our experience 90% is struggle and 10% is totally, absolutely beautiful and validates the whole experience. Take this morning: Before I took my two-year-old son to school, we were rushing and rushing, and he said, “I want stay with you, Dad.” That made up for the whole last month when he’s had a sinus infection and has been whining nonstop. That kind of little victory, that’s what life is like and that’s what we’re trying to represent. 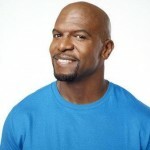 In the show, Brett’s best friend and Michelle’s sister both move in with the married couple. What is the dynamic of this foursome? MD: Alex and Brett are soul mates in a way, but the arrival of Tina makes things much more complex. What’s really interesting to us is how group dynamics change, depending on who’s in the group and how many are in the group. What does music bring to the show? What does “togetherness” mean to you? JD: Togetherness is a double-edged sword. At first you think it can be a saccharine feeling, where you want to be with your family and snuggle up together. The other side is that you feel trapped, and the only thing that you want to do is escape. Synopsis from HBO: Brett and Michelle are struggling to rekindle the spark in their relationship, which has puttered out from the stresses of marriage and children. When Brett’s friend Alex and Michelle’s sister, Tina, move in with them, the foursome engage in a tragically comedic struggle to follow their personal dreams, while still remaining good friends, siblings and spouses to each other. Created by Jay Duplass & Mark Duplass & Steve Zissis, Togetherness is the TV debut as a writing team from brothers Jay Duplass and Mark Duplass. The new comedy series begins its eight-episode season Sunday January 11, 9:30pm, exclusively on HBO. Blending laughter and pathos, the show follows four adults nearing 40, living under the same roof and struggling to keep their relationships and their dreams alive.